This one bedroom condominium is on the first floor of the spectacular 1890 mansion built and lived in by Mary Fritz and her family. Her son remodeled the family home into six apartments in 1919. In 1990, new ownership renovated the building, converting the six apartments to condominiums, rarely available on the open market. A pair of stunning ornate entry doors lead to an elegant marble entry, off of which is this apartment’s front door. The apartment is intelligently laid out and retains many original Victorian details, including high ceilings, decorative moldings, and hardwood floors. The kitchen has been redone with Ceasarstone countertops and ample modern cabinetry. A pass-through connects the kitchen to the airy living/dining area, which features a wall of French windows. The windows provide access to an east-facing balcony, perfect for savoring that morning coffee at your own private café table. The spacious bedroom gets lots of natural light from its three windows. It also has a large cedar closet that complements the huge closet off the foyer. An updated bathroom has subway tiles, a shower over tub, and a pedestal sink. There is a shared laundry on the ground level. 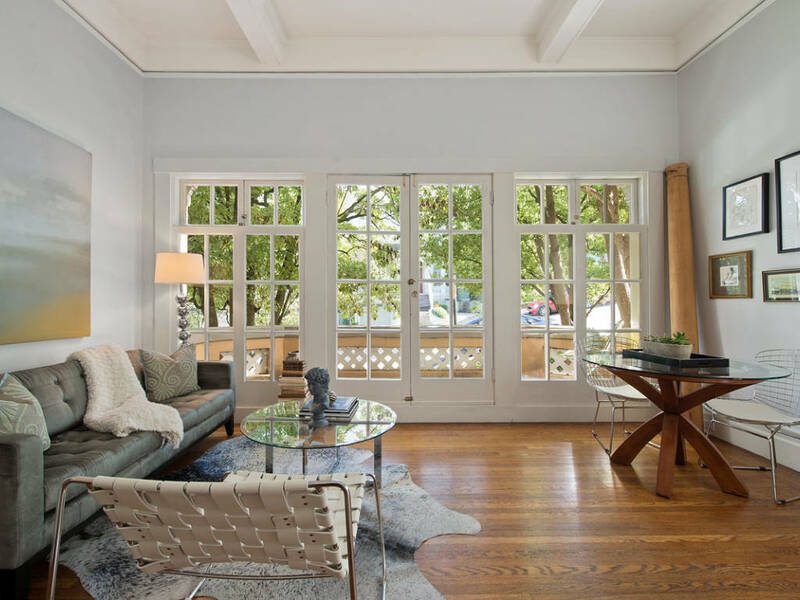 This apartment offers a rare opportunity to live in one of the City’s most beautiful and historic buildings, close to the geographical center of San Francisco. Feel a part of our City’s history while enjoying modern amenities and a great neighborhood.